This product is available. To order please select a color and size by clicking on the desired color swatches and sizes. This Sea Spirit shirt is very cute, featuring Jason Mathias's illustration of a stylized Sailfish amongst seashells and plumeria flowers, elegantly designed to enhance the figure is sure to catch the eye and the fish. 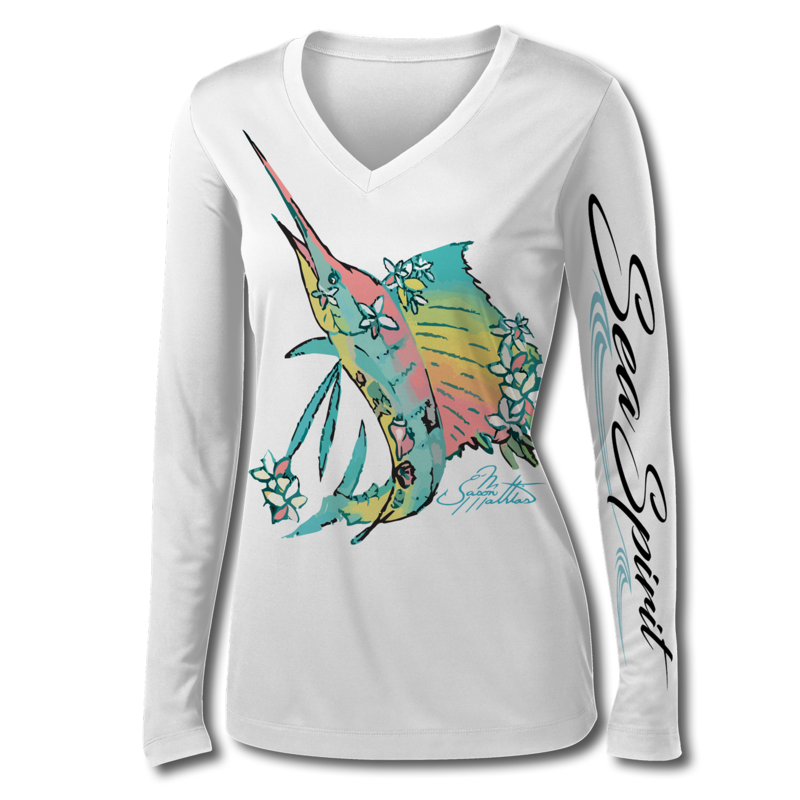 fine art design is sublimated onto our superior technology that definitely makes for a top favorite among woman anglers world wide! 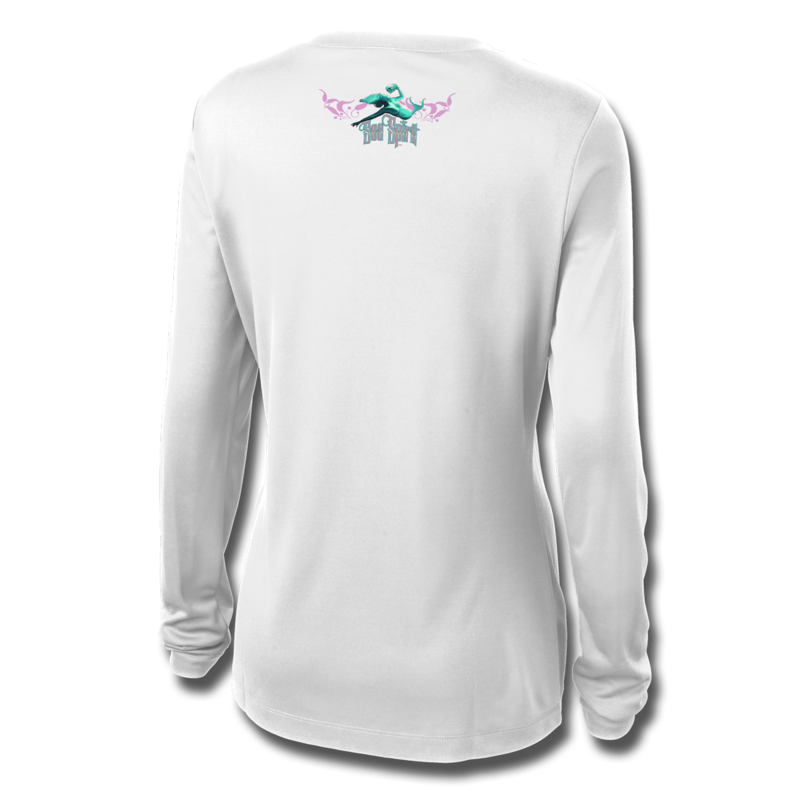 Say hello to the supreme comfort of the light weight, roomy and highly breathable Jason Mathias Strike Zone Performance Long Sleeve shirt! This awesome shirt offers many great performance qualities. So comfortable that you feel like you're not even wearing a shirt! Shirt keeps you cooler and drier which makes it a must when doing what you do best! Featuring up to UPF +30 solar protection, the Strike Zone Performance Long Sleeve is lightweight, comfortable, and sure to keep the sun’s rays from penetrating through to your skin. This fabric is powered by moisture wicking technology which will keep you cooler in the summer and warmer in the winter. To select a color, simply select your desired color by clicking over a color tab. To select a size, simply select you desired size by clicking over a size tab. You will see a black dot which will tell you which size is selected.